Spain said Saturday it had rescued more than 1,200 migrants from the sea in two days as the country's interior minister called for a European-wide solution to illegal immigration. Fernando Grande-Marlaska said Spain had now seen "on the ground, the problems that exist, the problem of immigration which is a European problem which requires a European solution", following a visit to the southwestern Cadiz region. [post_ads]Earlier Saturday, the maritime rescue service said on Twitter it had rescued 334 people from 17 boats. On Friday coastguards picked up 888 people in a single day. "It was to be expected," minister Grande-Marlaska said, criticising the previous conservative government of Mariano Rajoy for a "lack of foresight". He said the government was working against the clock to open "a centre" in the port of Andalusia with room for 600 people. 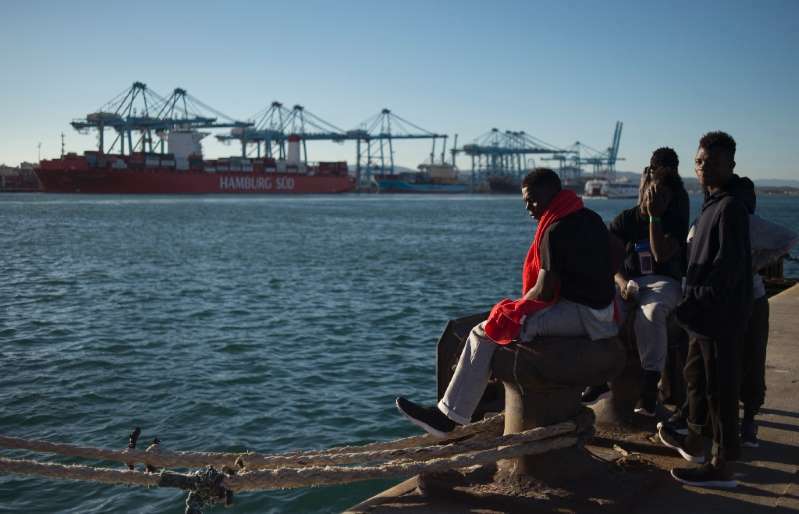 Earlier this week, more than 600 African migrants reached the Spanish territory of Ceuta after storming a double border fence with Morocco and attacking police. The scramble over the barbed wire-decked barrier on Thursday is the biggest in Ceuta since February 2017, when more than 850 migrants entered the Spanish overseas territory over four days.